– New sounds samples from 500 to 1600rpm. – Lowered the air brakes, and blinkers sounds. Exterior sound is the same since i have nothing new to add on it. and so i was able to make my engine sound more realistic. I hope you will enjoy it. Have a good trip! -New sounds samples from 500 to 1600rpm. -Lowered the air brakes, and blinkers sounds. 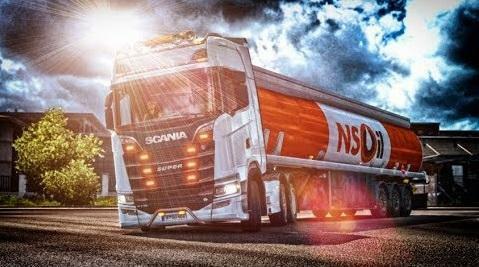 This mod is indicated for those who liked the new Scania R & S truck recently included in Euro Truck Simulator, but hated the accompanying sound. reworked stock sound ,some files changed such as new air break sound, air horns , trailer connection sound, trailer brace,gravel, suspension, jake brake, and cabin rattle sound. it’s a waste of time for me to make a sound which is almost compare to each other.